Posted on 16, February 2016 by EuropaWire PR Editors | This entry was posted in Aviation & Aerospace, France, Industrial, Technology, Transportation & Logistics and tagged Arrius 2R engine, Bell 505 Jet Ranger X, Bruno Even, EASA certification, Matt Hasik. Bookmark the permalink. 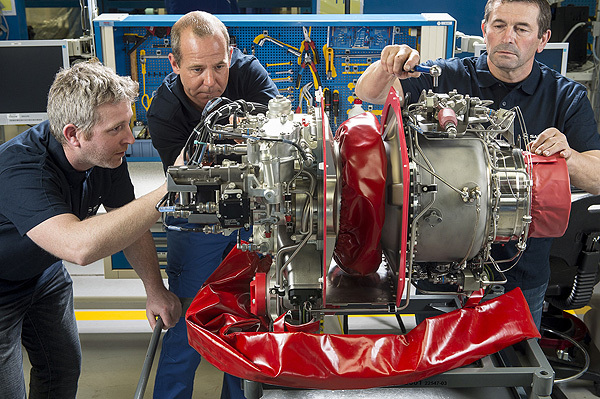 BORDES, 16-Feb-2016 — /EuropaWire/ — Turbomeca (Safran, Euronext Paris : SAF) and Bell Helicopter, a Textron Inc. (NYSE: TXT) company, are delighted to announce that Turbomeca has received EASA engine type certification for its Arrius 2R engine, that powers the Bell 505 Jet Ranger X. Officially launched at the 2013 Paris Air Show alongside the Bell 505, the Arrius 2R has followed a fast development schedule. A rigorous evaluation campaign has started in April 2014 with its first ground run. The flight test campaign started in November 2014 with the Bell 505’s first flight at Bell’s Mirabel facility in Canada. In August 2015, Turbomeca delivered the first production engine to the new Bell 505 assembly center in Lafayette, Louisiana. The Arrius 2R is designed to deliver performance and power within the 500 shp range, while improving safety and lowering pilot workload via the dual-channel FADEC. It is the only turbine in the power range with this feature. Built around a proven core engine, the twin-module configuration grants high reliability and offers low maintenance and operating costs. The Bell 505 Jet Ranger X™ is backed by Bell Helicopter’s renowned customer service support, voted #1 by customers for 21 years running; the company was also recently voted ‘best in the business’ in Vertical Magazine’s Helicopter Manufacturers Survey. For more information about specific models and pricing options, please visit www.bell505.com.